U.S. #3141 – The U.K. received the most aid – about 26% of the total sum. 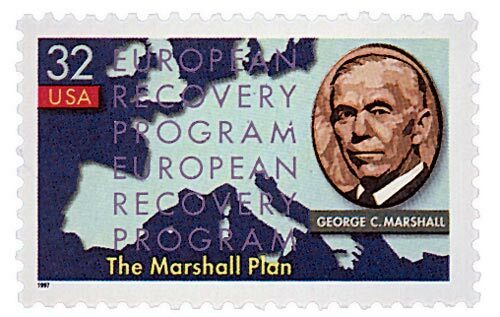 On December 31, 1951, the Marshall Plan expired after providing aid to millions of people in Western Europe. The devastation caused by World War II led to slow recovery in Europe. Trade was disrupted because most transportation routes had been destroyed. Millions of people lived in refugee camps and relied on foreign aid for basic necessities. Most European nations had no funds available for rebuilding. Confusion, disorder, and economic chaos had left many of these war-torn nations vulnerable to Communist take-over. The United States began an aid program to address these pressing issues. 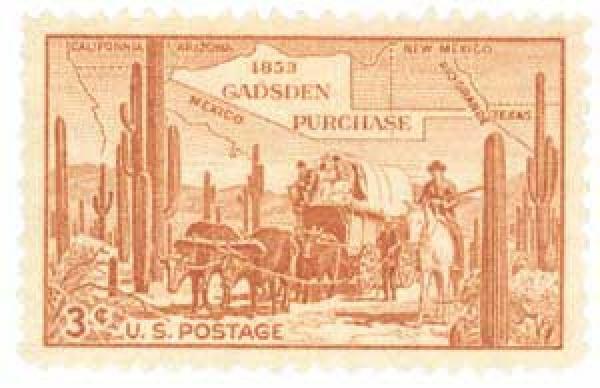 U.S. #1028 includes a map of the area of the Gadsden Purchase. On December 30, 1853, the Gadsden Purchase was completed, adding over 29,000 square miles of land to the United States. The Gadsden Purchase was the last major territorial acquisition in the contiguous United States. It was also at the center of the growing slavery debate, the transcontinental railroad system controversy, and outstanding border issues left over following the Mexican-American War of 1846-48. 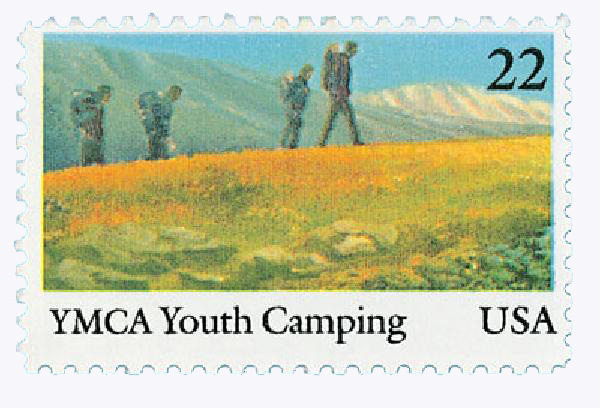 U.S. #2160 – Today there are about 2,700 YMCA chapters in the U.S.
On December 29, 1851, Thomas V. Sullivan established America’s first YMCA. In the 1840s, young adults flocked to industrialized London in search of jobs. However, after arriving, many found a place of dangerous influences and substandard housing. 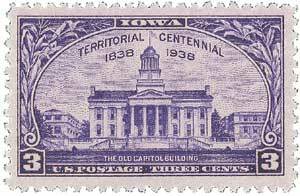 U.S. #838 honors the Iowa territory and pictures the old capitol building in Iowa City. On December 28, 1846, Iowa was admitted as our 29th state. On June 17, 1673, two French explorers, Louis Jolliet and Father Jacques Marquette, became the first white people to arrive in Iowa. They traveled by canoe down the Wisconsin River to the Mississippi River, and landed on the Iowa side on June 25th. 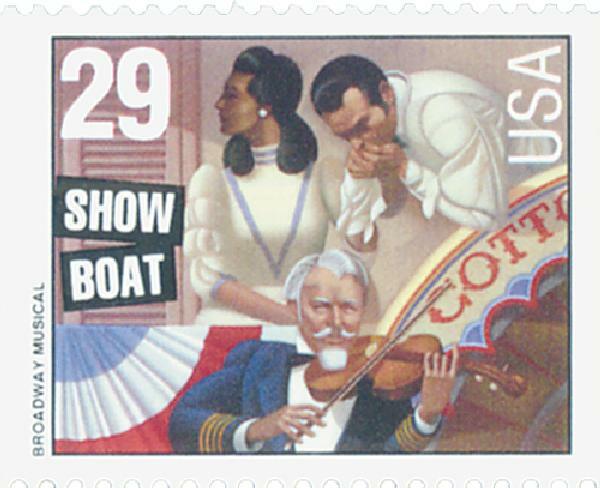 U.S. #2767 – Show Boat follows its characters for 50 years. On December 27, 1927, the musical Show Boat debuted at Broadway’s Ziegfeld Theater. 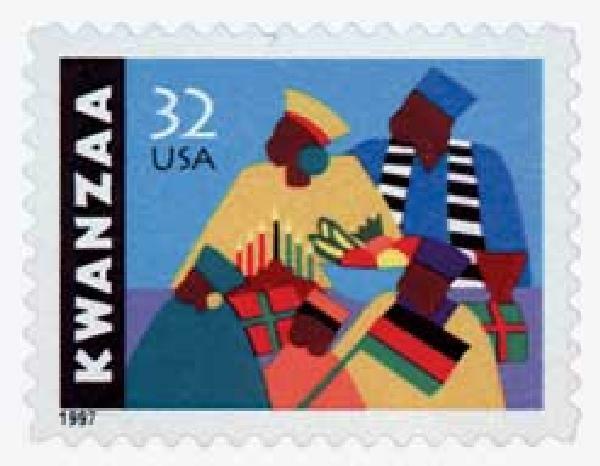 U.S. #3175 was the first U.S. stamp issued for Kwanzaa. On December 26, 1966, Maulana Karenga celebrated the first Kwanzaa. In 1965, a deadly riot rocked a largely African-American neighborhood in Los Angeles, leaving 34 dead and 1,000 injured. Professor of Black Studies and former activist Maulana Karenga was disturbed by the violence. He wanted to help the African American community overcome the despair this riot, and ones like it, had caused. Karenga was then inspired by the African harvest celebrations to establish his own non-religious holiday that would stress the importance of family and community.